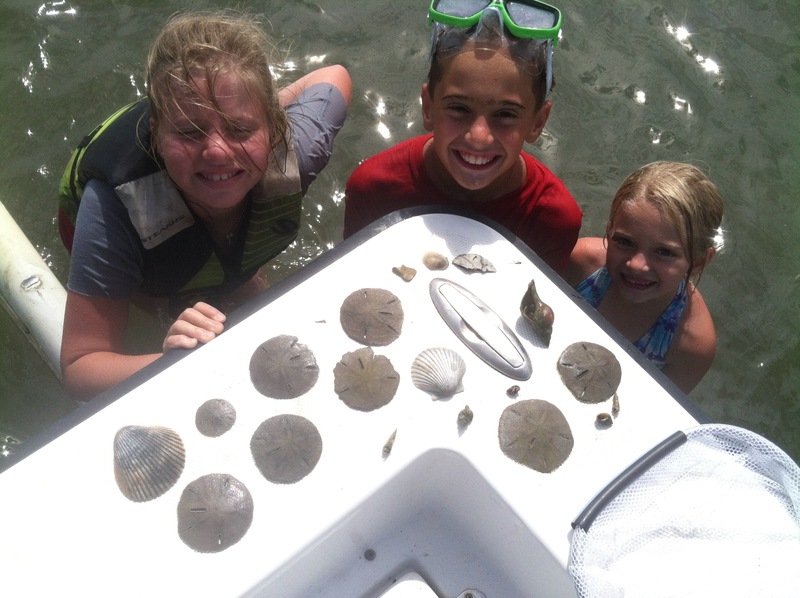 The Sandbar Safari Eco-Tours are family friendly, activity filled, and safe for children 3 and up. 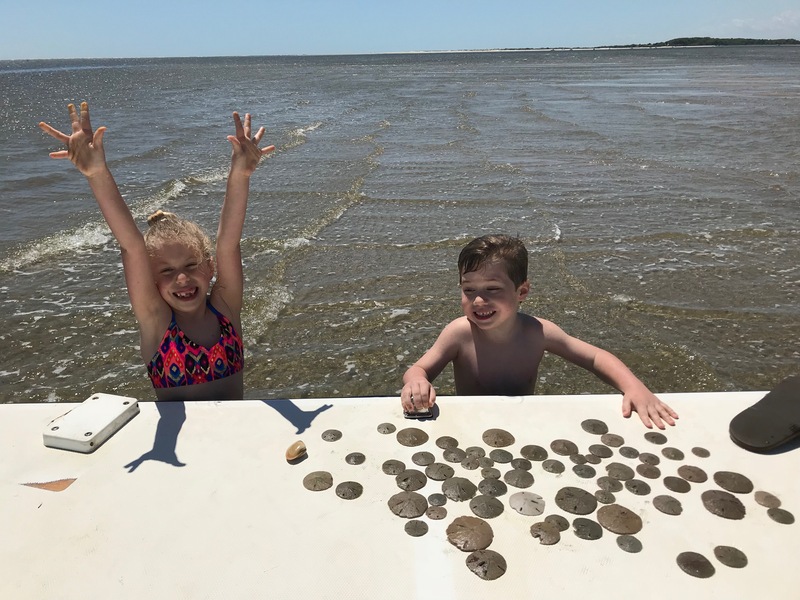 Our list of possible Sandbar Safari activities includes, but is not limited to: Castnet lessons, hunting sharks teeth and sand dollars, catching shrimp, digging clams, crabbing, shelling, dolphin and bird watching, and more. Be sure to bring suitable footwear, sunscreen, polarized sun-glasses, bags or buckets for collecting, and a cooler with drinks and snacks or a picnic lunch. Sandbar Safari Tours offer your group the opportunity to experience the rich ecosystems of the Crystal Coast first hand. Explore the marshes, islands, and waterways of Eastern North Carolina to catch your own seafood feast of clams, blue crabs, and shrimp. Cruise the flats looking for fish and stingrays, search for shark’s teeth along the shore, uncover shellfish and conchs in the shallows, or observe the hunting techniques of egrets and herons in the marsh. It’s your Safari, so Capt. Rob will work with you to create a trip custom fit to your needs. The goal is to showcase the biodiversity that this area provides, and allow you and your family or friends to get the most out of your adventure. Book Your Tour Today! All Tours Custom Tailored To Your Group!